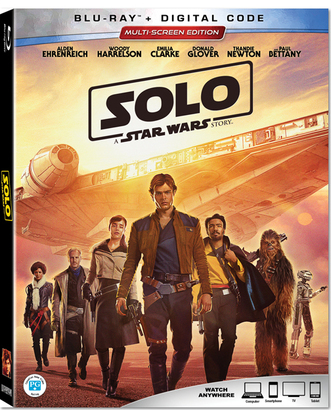 留意 AM1470 & FM96.1 電台節目， 贏取 SOLO: A STAR WARS STORY Blu-ray + Digital 套裝。Listen toAM1470 & FM96.1for your chance to win SOLO: A STAR WARS STORY Blu-ray + Digital combo. 遊戲日期 Game period: September 27 - October 3, 2018. Now available on digital and Blu-ray.